Advertising with MUTV allows businesses and campus organizations reach all MU students living on campus. Work with our creative team to create custom advertisements. 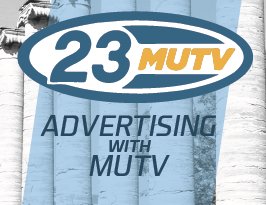 The MUTV ad team offers low prices and unique packages to meet all your advertising needs. Interested in advertising with MUTV? Click here to see our advertising rate sheet. You can also advertise with all three student media outlets at a discounted rate. Whether you are a department, student group, or individual with video needs, Film Crew is willing and ready to help. All of our staff members are paid employees and have at least two years of video experience.